The fleet faces a double threat as a deadly fever breaks out and the Cylons launch attacks, protected by a new long distance scanner-jamming technology. I've chosen to place this story after the events of the Cylon Apocalypse mini-series, since the Cylons react very emotionally to the possibility of infection by parahelial fever here, possibly because of the dreadful nano-cybrid infection seen in the mini-series. In addition, it is during this time period that Baltar is missing (having escaped incarceration on the prison barge in "Prison of Souls" Part 3, but not yet having returned to the Cylons), so it makes sense that we see the Imperious Leader plotting the attack against the fleet seen here. The story itself is untitled. I borrowed the title "The Fever" from the Battlestar Galactica Chronology on the Look-In wiki (this site was also the source of the writer and artist credit on the story since there are no credits on the story itself). This story features a previously unseen ship of the fleet, Orestes. The fleet suffers an outbreak of parahelial fever. The term "parahelial" is not explained, but the real world term "perihelial" is used to denote a solar system body's closest approach to the sun. The hospital ferry launched from Galactica to Orestes has a red cross on the top, just as many Earth ambulances do. On pages 2 and 3 of the story, personnel in the observation room of the Galactica detect Cylon Raiders approaching. Possibly, this so-called observation room could be the gigantic chamber manned by technicians who monitor space for indications of approaching enemies, pulsars, life-bearing worlds, etc. as first depicted in "Black is the Color of My True Love's Hair". On pages 3-4 of the story, a freighter called the Laurentic and another, unnamed ship, are destroyed by the Cylons in this story. On page 6, Athena reports that four ships were destroyed in the attack. And the damaged Orestes is lost and irretrievable from the Cylons at the end of the story, though it is seemingly replaced by a large Cylon shuttle stolen by Apollo from the Cylon baseship. This puts the fleet at 210 ships, from 214 last known in "The Hand of God". Apparently all this damage to the fleet was caused by just four Cylon Raiders in a sneak attack. On page 7, panel 3 of the story, the two crewmen of the Orestes appear to have name badges on their uniforms, identifying them as Keever and Keggan. 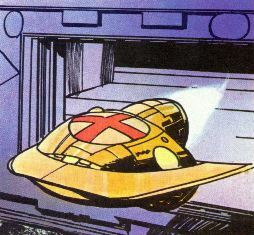 On page 14 of the story, Boxey is described and depicted as really laying it on thick to the other children aboard the out-of-control Orestes, standing on top of a medical computer bank and telling them all how his father is going to get the ship back in control and fight his way through the Cylons back to the fleet. Maybe this is an early indication of his stage talent shown later in Surrender the Galactica, where he volunteers to take part in a play. On page 16 of the story, a pair of Cylon Raiders shoot beams at the damaged Orestes that remotely shut down the ship's engines. Is there a reason they're only using this technology now? If the beams work against an undamaged ship, the Cylons could virtually knock out the fleet one ship at a time! On page 17 of the story, one of the Orestes crewmen uses the minced oath, "for Pete's sake". Considering it originated on Earth in medieval times and references the Christian St. Peter, it seems an unlikely oath for a refugee from the extragalactic Twelve Colonies! Page 18 of the story describes the Cylons as being cybernetic organisms (part organic, part robotic) and, thus, potentially susceptible to human illnesses. In the TV episodes, the Cylons were essentially presented as entirely robotic (with the possible exception of the Imperious Leader), but the BSG novels identify them as partly organic as well. To keep the Cylons from realizing he is the son of Commander Adama, Apollo uses the alias of "Captain Carter" with them. 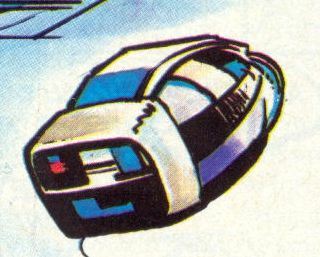 On page 19 of the story, we see a type of Cylon shuttle not previously seen. On page 22 of the story, the Cylons react much too emotionally to the possibility of infection. Maybe these are some of the same Cylons who were exposed to the dreadful nano-cybrid infection seen in the Cylon Apocalypse mini-series, leaving them in a heightened state of fear of the very idea of infection? On page 23 of the story, Boxey unknowingly hits on the same idea his father did, that of conning the Cylons into thinking all the humans on the Orestes are infected and could spread parahelial fever to the Cylons. The narrative box on panel 1 of page 24 suggests that perhaps there is a level of subconscious telepathy going on between Apollo and his adopted son. In fact, Armageddon later reveals that descendants of the House of Kobol, like Adama and Apollo, do have mental abilities such as telepathy that can be brought forth with training. Apollo tells the Cylons of the parahelial fever aboard Orestes, stating that it's particularly deadly to cybernetic organisms. But he uses the actual Colonial name of the disease. Shouldn't the Cylons have databases of Colonial diseases, biology, terms, etc? Couldn't they easily find out whether the disease is as deadly to them as he claims? Does this mean the fever actually is deadly to cybernetic organisms? How was Boxey and his squad of child troopers able to enter the exterior airlock of the baseship? Don't the Cylons keep their doors locked?? The Cylons successfully used some kind of jamming that prevented the Colonial fleet from detecting their approaching ships until they were extremely close. Presumably the Cylons could still use it, because no resolution was stated to have been found by the fleet!